Stem Cell Possibilities in Autism Research | "Latest Stem Cells News"
Announcer: Recently, Dr. Ricardo Dolmetsch, an associate professor of neurobiology at Stanford, spoke with National Institute of Mental Health Director Dr. Thomas Insel. Devoted to Autism Spectrum Disorder research, Dr. Dolmetsch and his colleagues have generated stem cells from children with autism allowing them to study how the brain develops in children with ASD. Dr. Ricardo Dolmetsch: Right, when I first got to Stanford I was interested in a very basic question.. and um.. you know for a few years we worked on that and that was really exciting but it was very arcane. And then about I guess four and a half years ago, our son was diagnosed with autism. And so this really changed my…the direction of my lab. Actually, what really happened was that my wife and I got together and we thought a little bit about what we could do and we came up with a bunch of projects and one of the ideas was that we were going to just change all of our efforts and that’s how we started working on autism. Dr. Thomas Insel: I know what you’re working on now has to do with induced pluripotent stem cells. And that’s a bit magical for many people… the idea that you can create a stem cell from skin or from some other differentiated cell. Can you explain what that is and how you think that will be helpful for studying autism? Dr. Ricardo Dolmetsch: Our whole idea of development is that development is sort of a directional arrow. It’s kind of like spilling water. You can spill water but you can’t unspill water. And we sort of thought development went to the same way. You start out with an egg and you end up with a human- you don’t go backwards. But it turns out that that’s not quite true. 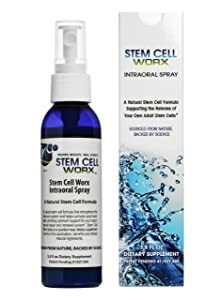 So, this pioneering Japanese group led by Dr. Yamanaka developed this system that allows you to take for example skin cell or blood cell and convert it into a stem cell. And the way you do this is you introduce these four proteins that do something mysterious that nobody completely understands and it changes the cell and makes it into a stem cell. And that stem cell has the capacity to make every cell in your body including brain cells. Dr. Thomas Insel: So you can make brain cells from the skin or blood cells of a child with autism. Dr. Ricardo Dolmetsch: Exactly, so what this allows you to do then is you can then take.. for the very first time… you can make these tissues that you wouldn’t be able to access normally. So, so you can take the skin cells of a child with autism and you can make stem cells from those skin cells and then you can take those stem cells and you can differenciate them to generate basically little pieces of brain. And then you can analyze the development of those cells as well as their function once they’re mature and so this gives you insights that you wouldn’t have any other way. Dr. Thomas Insel: So, when you do this in autism how do those brain cells that you derieve from skin differ in children with autism versus kids who don’t have autism. Dr. Ricardo Dolmetsch: Well, this is something we’re still working on, right and I think we’re still at the very beginning. I think that the short answer is that we have so far only looked at a couple classes of autism and in those classes of autism we have learned something about how development is changing. So for example in one case we know that these kids are making too many cells that produce dopamine and norepinephrine. Dopamine and norepinephrine are these really important neurotransmitters that are important for motivation, attention and pleasure and for some reason these children are making too many of them and they’re turning on the pathways that generate these neurotransmitters in the wrong cells. And so, that…. I mean just knowing that gives you a target- gives you something to target therapeutically. Dr. Thomas Insel: Is there some way in which having the stem cells the way you describe is going to help us to develop new therapeutics? Dr. Ricardo Dolmetsch: Oh absolutely. So, so…. this is the thing, right? We need to understand what is going wrong. And things are going wrong at multiple levels. So, so… we know for example.. so the first sort of level of understanding is we have to figure out what the genes are. We’ve started to identify many of the genes. The next level of understanding is we have to understand how those genes are actually changing the function and development of the cells and that is what we are working on-what we have developed. 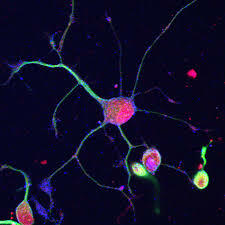 Now, once you know what is wrong with the cells you can then look for ways to reverse that. Dr. Thomas Insel: I can’t help but ask the question.. how you done this with your own son? Have you taken skin cells and created stem cells from him? Dr. Ricardo Dolmetsch: We have. And we have sequences genome as well as ours. And you know, I mean, it’s um… it’s a difficult project to have in your own lab. Um… in a way.. you really want to know. And in a way you really wish.. you really hope that what you find is not too terrible. But absolutely, this is one of the motivations- not the only motivation. I think one of the things I’ve discovered in working on autism I’ve met many families – it’s been that it motivates you in a way that… you know… is difficult to explain and in a way I never would have expected when I was being trained as a very basic scientist. This website contains affiliate hyperlinks to the Amazon webstore. Clicking and buying via these links make us to earn some coins. Thanks in advance! Deciphering the Genomics of Cardiotoxicity in Cardio-oncology DocWire NewsA new paper in Cardiovascular Research looks at genomic predisposition to oncology-drug-induced cardiotoxicity and what's happening in this space. Scientists 'Reverse Engineer' Brain Cancer Cells to Find New Targets for Treatment Laboratory EquipmentGlioblastoma is one of the most devastating forms of cancer, with few existing treatment options. Factors behind embryonic stem cell state Science DailyAn international collaboration has found for the first time that two new epigenetic regulators, TAF5L and TAF6L, maintain self-renewal of embryonic stem cells. Cell death from a heart attack damages heart muscle. Blocking MAP4K4 — a protein that is key to this process — greatly reduced heart injury in mice. Researchers have designed a type of stem cell that should be able to withhold transplantation into any recipient without facing rejection. A new review examines the past, present, and future of stem cell therapy for replacing damaged brain cells in Parkinson's disease. A subset of the stem cells in hair follicles have the potential to regenerate the coating that insulates neurons in mice, report scientists. Researchers in Japan have demonstrated preserving frozen animal cells without a cryoprotectant agent, relying instead on ultrarapid cooling. Scientists have invented a new technology that could lead to the development of a new generation of smart surgical glues and dressings for chronic wounds. The new method involves re-engineering the membranes of stem cells to effectively 'weld' the cells together. Using CRISPR gene editing, researchers have thwarted a lethal lung disease in an animal model in which a harmful mutation causes death within hours after birth. This proof-of-concept study showed that in utero editing could be a promising new approach for treating lung diseases before birth.